Beautiful and lustrous. 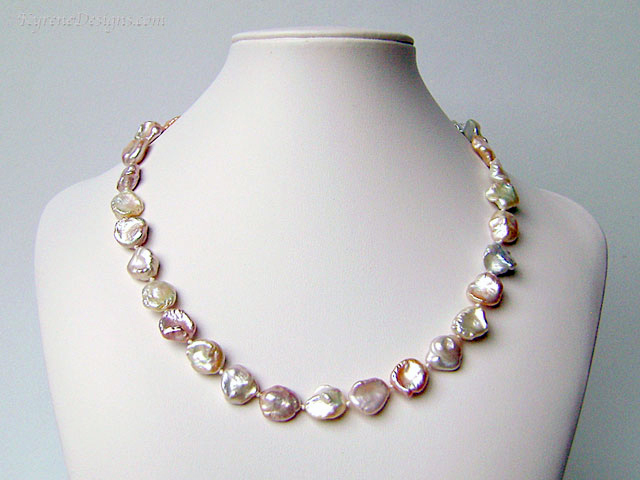 High grade, hard-to-find, luxurious keishi pearls in natural delicate shades of cream, pink, apricot and lavender, showing lots of subtle colour movement. Hand knotted securely with 4 strands for the weight and the best drape. Finished with french wire as all good pearl jewellery is. 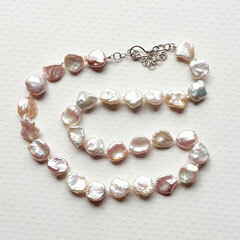 These gorgeous pearls are perfect for that special present, or just as a treat to yourself. Length:17 inches. Pearl 12mm. Easy to use sterling silver hook clasp, plus 2" extender. Packaged in quality presentation box.